Dolce Darling - Lorian Platinum - Ring Size 5.0 was added to your cart. This Lorián Platinum ring is like a warm embrace. 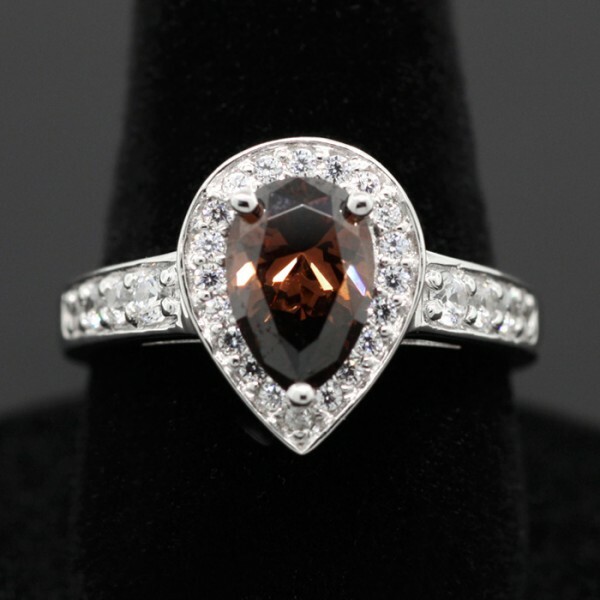 It boasts a 1.33 carat chocolate pear cut Diamond Simulant and is nestled in a halo of white Diamond Simulants, for a 1.96 total carat weight.